This Old Mutual PLC (OML) trade opportunity was brought to my attention by Piru Harington who is one of our Private brokers and I must say it looks good for a long trade. 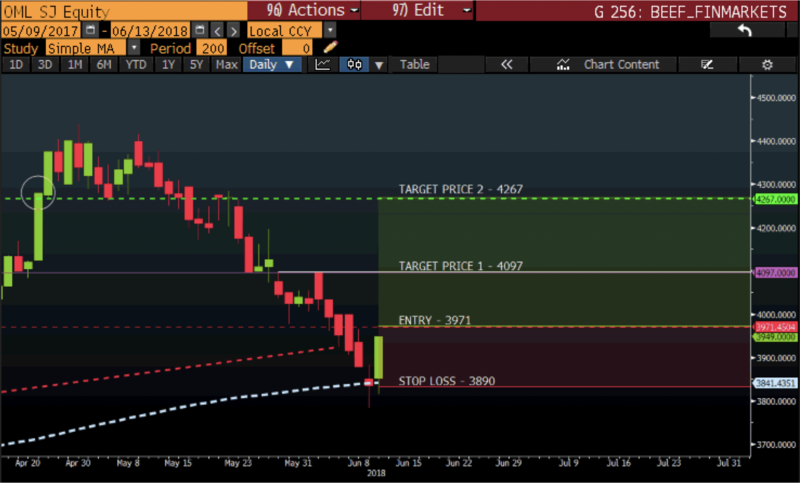 Outlook: The buy is supported by the bullish engulfing candle which can be seen in the chart as well as the price action being supported higher by the 200-day Simple moving average. 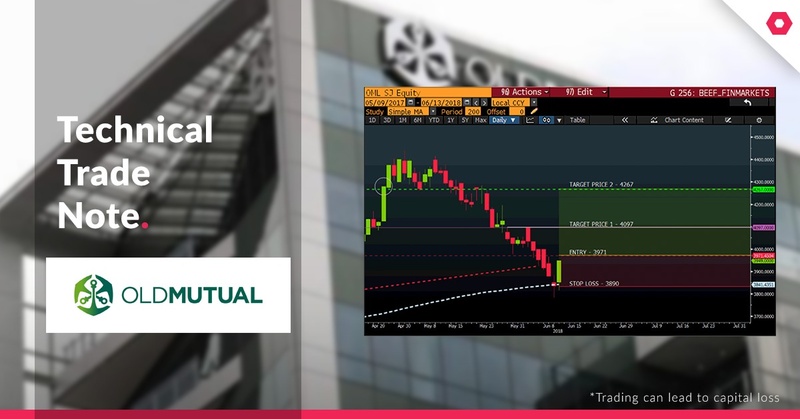 Take Note: Old Mutual PLC (OML) will have its corporate action, namely the managed separation kicking off its new listing on the 26th of June.